ONGC GATE Recruitment 2018: Oil and Natural Gas Corporation (ONGC) has released the notification for E-1 level Engineering and Go-Sciences posts. The ONGC has advertised a great number of posts. It has notified 1032 posts. Candidates qualified in the Graduate Aptitude Test of Engineering (GATE) are eligible to apply for ONGC vacancies. Candidates having the GATE qualification can apply for these posts. As per the announcement states, applicants must have to be qualified in the GATE examination which has been conducted in the month of February. Interested and eligible aspirants can apply for the ONGC GATE vacancies before the last date 3rd May 2018 5:30 PM. Candidates can go through the ONCG GATE official notification PDF enclosed below to check all the keen details from it. Oil and Natural Gas Corporation annually issues notifications for various posts. The organization is going to offer the jobs for merit and skilled persons. 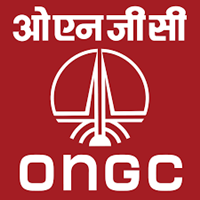 As every year, the ONGC has come up with the job notification this year. Interested aspirants seeking to get ONGC jobs can go through the official notification for further details. Candidates must have the Engineering in relevant discipline along with the GATE score. For the reference of aspirants here we have listed the brief details of ONGC GATE notification 2018. Go through the details once and download ONGC GATE notification to observe the information from it. Note: Candidates must check Official Notification for more details about Age relaxation. Eligible and interested candidates would be required to apply ONLINE ONLY through the link “Online application for recruitment of Graduate Trainees (GTs) in Engineering & Geosciences disciplines through GATE-2018” on www.ongcindia.com. No other mode, repeat no other mode, of application shall be accepted. Candidates can apply for one post only even though they may be eligible for more than one post.